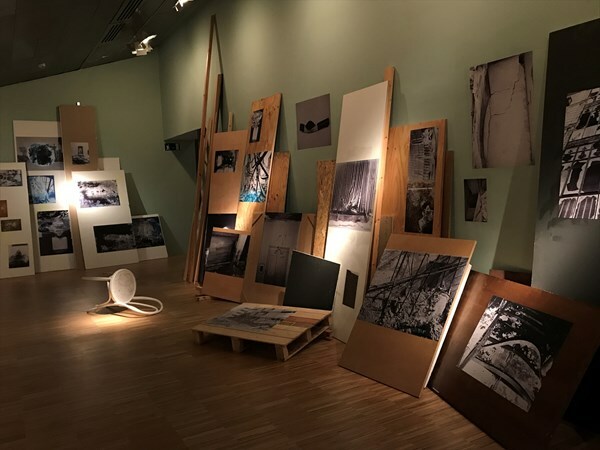 The exhibition, Photobook Phenomenon, organised by the Contemporary Culture Centre of Barcelona (CCCB) and the Foto Colectania Foundation, is based on a very specific medium, the photobook. It revisits the history of photography and re-examines the medium itself. The photobook occupies a central place in contemporary photography since it is a natural home for photography, and consequently the medium through which a particular history is told through images. It is, furthermore, a well-known format that has seen notable growth over recent years. 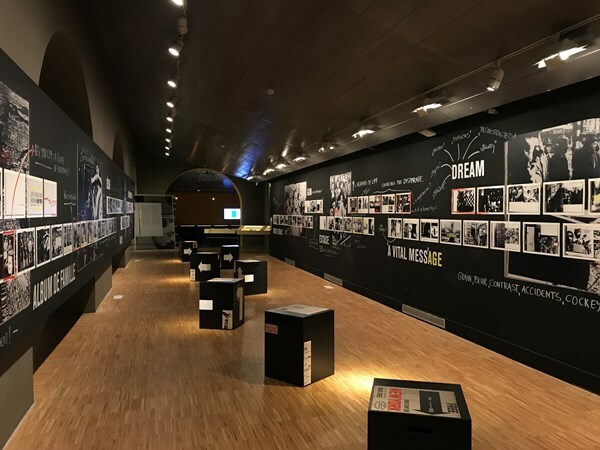 The exhibition, which has a very wide scope, encompassing the history of the photobook from its earliest days right up to the present day, has benefitted from the experience of nine curators, Gerry Badger, Horacio Fernández, Ryuichi Kaneko, Erik Kessels, Martin Parr, Markus Schaden, Frederic Lezmi, Moritz Neumüller and, from the Foundation itself, Irene de Mendoza. 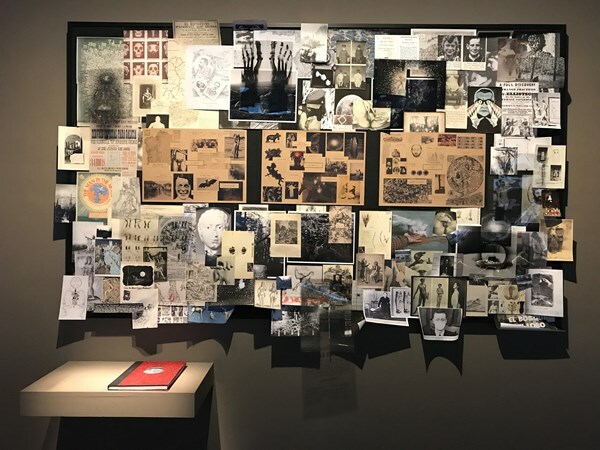 Spread over two sites, and with more than five hundred photobooks on display, the exhibition is divided into seven different sections, or chapters: The collector&apos;s vision. The best photobooks according to Martin Parr; Propaganda books versus protest books; Reading New York. A PhotoBookStudy entitled Life is Good & Good for You in New York, by William Klein; Five facets of Japanese photobooks; Contemporary practice + contemporary photobooks; Fascination and failure; and The library is the museum. 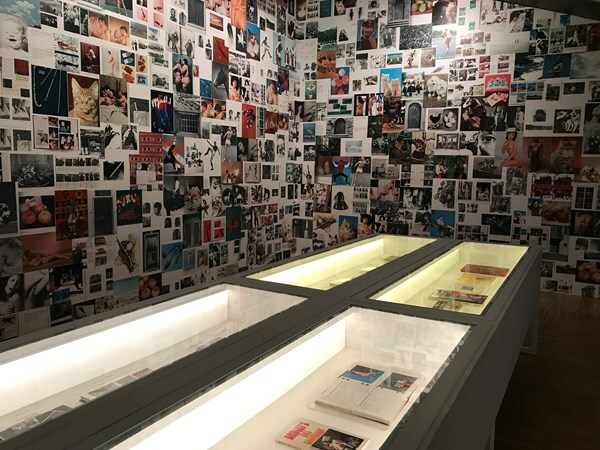 These sections include very well-known and historic books, and they afford a detailed view of the history of Japanese photobooks, the pioneers in their production, as well as contemporary artists experimenting with present-day publishing and production formats. The historic photobooks include New York (1956) by William Klein, to which an entire section is devoted and in which every page of the book, and its construction, can be seen. This book went on to influence many photobook publications on cities. They also include The Decisive Moment (1952), by Henri Cartier-Bresson, the contents of which are also exhibited in their entirety on the wall, thereby blurring, perhaps, the distinction Cartier-Bresson himself made when he said, “paintings on the wall and photographs in books". Japan forms an unavoidable part of the history of photobooks and the curator, Ryuichi Kaneko, reveals part of that history through a series of books that demonstrate some of the features that have, over the decades, consistently contributed to the vast production of this kind of publication in Japan. Printing, self-publishing, the work of photographers and designers, the zenshu publishing format (understood as a specifically Japanese compendium) and the emergence of photobooks with material from series published previously in photograph and art magazines are the main themes that Ryuichi Kaneko highlights to explain the photobook publishing phenomenon in Japan, especially from the 1950s onwards. The first three of these and the way they have developed are crucial for an understanding the influence of Japanese photobook culture has had in the contemporary western world. Martin Parr is one of the key figures in contemporary photography, not only on account of his photographic production and the publication of dozens of photobooks, but also on account of his work as a curator and collector. 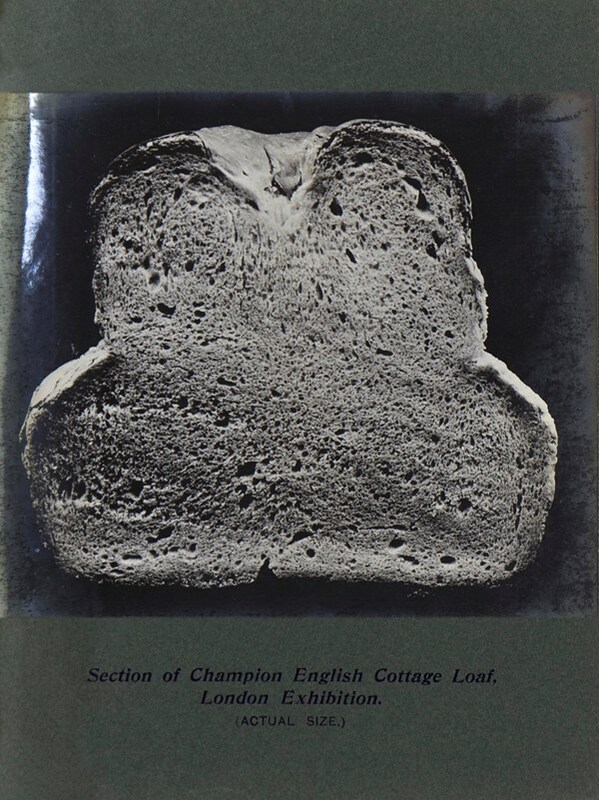 His work opens the exhibition with a selection from his collection, a small but comprehensive history of the photobook, which spans more than a century starting in 1903 with The Book of Bread, and finishing with contemporary photographers and recent publications such as The Afronauts (2012), by Cristina de Middel, and i (2014) by Eamonn Doyle. These two books in particular show the contemporary tendency for the use of desktop publishing and how photographers have adopted the technical, economic and conceptual tools necessary to produce photobooks on a smaller scale and how, precisely because of that, this has led to a much larger variety of publications on the market. As well as revered photographers such as August Sander, Aleksandr Ródchenko, Albert Renger-Patzsch and Daido Moriyama, Martin Parr&apos;s selection also includes the outstanding book, Evidence (1977) by Larry Sultan and Mike Mandel. This book contains a selection of images from a number of US institutional archives in the field of scientific research, or from government and military sources, for example. 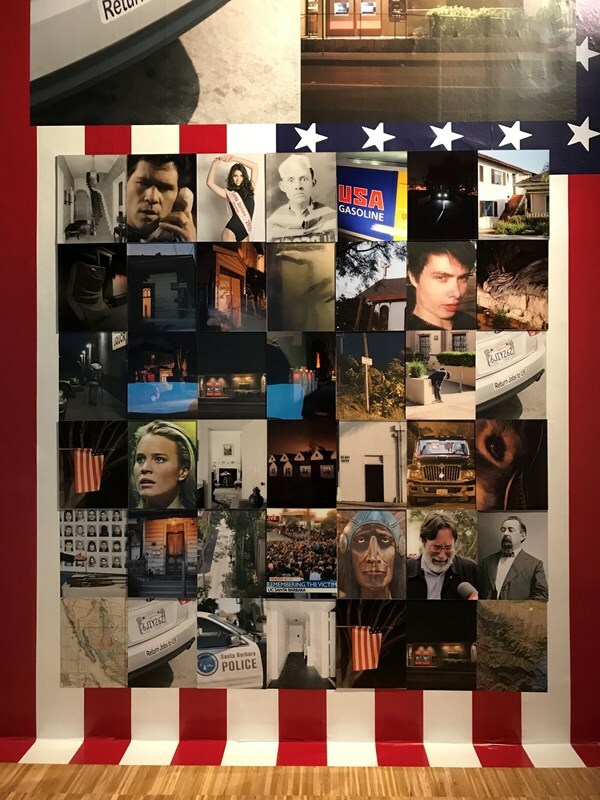 Such images, considered to be objective documents are, by being seen in a different context, transformed into a different narrative, a narrative that arises precisely as a result of this kind of publishing, sequencing and the infinite possibilities images have for producing different interpretations. In his book, The Photobook: A History, Martin Parr describes Evidence as "one of the most beautiful, consistent and disconcerting books ever produced, an infinite source of visual surprises". Bearing in mind the medium on which they were published and on which the exhibition is based, printed paper, and the way it is assembled and bound together to produce a self-contained volume in space, it is interesting to consider the way in which these publications are exhibited. Unfortunately, for many reasons, mainly concerning issues of conservation determined by the demands of museology and the market, it is not possible to consult some of these books in the normal way because they may not be touched, or leafed through to read them. 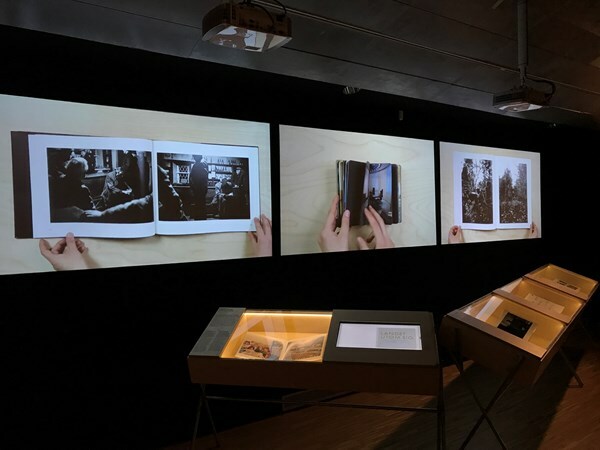 Nevertheless, the exhibition employs a number of resources so that they can be consulted in other ways, such as videos showing the book being consulted, and some special cases such as that for Klein and Cartier-Bresson in which we see the whole book spread out, or displayed on touch screens, so that visitors can leaf through them in a virtual way, as is the case with Evidence. It is a resource that enables visitors to form a closer relationship with the book and experience it more directly, intimately and personally because it makes it possible to pause at pages, set one&apos;s own pace and go backwards and forwards through the images. Other cases require other resources, such as the book by de Middel, which is accompanied only by a large touch screen showing a large image of the universe through which the visitor navigates by finger touch, and the framed presentation of Bilder (1971) by Hans Peter Feldmann. 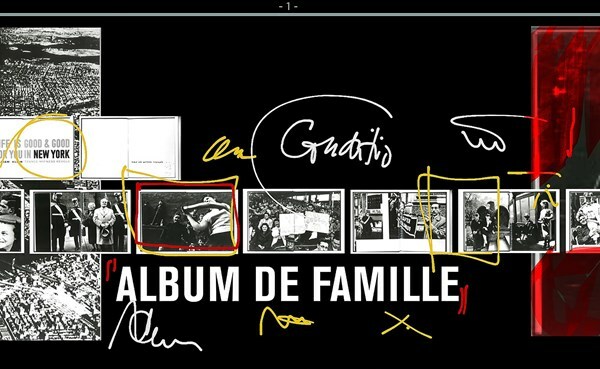 We should not forget that the photobook is an object that enters our daily life as a result of market forces which are determined mainly by financial considerations and the specific channel. Their power for dissemination and their reach stem from their easy accessibility and these characteristics are fully recognised in the Photobook Phenomenon exhibition. It is possible to say that large-scale recent production, particularly over the last decade, facilitated and augmented by desktop publishing and independent publishing, has given rise to a new context for the photobook that has led to a new appraisal of the medium and, in some cases, a re-reading of the history of photography. In 2014 there were two exhibitions that acknowledged the photobook phenomenon in Spain. Foto Colectania produced the exhibition Fotolibros. Aquí y Ahora (Photobooks. Here and Now), devoted to contemporary photographers with books published between 2011 and 2014. 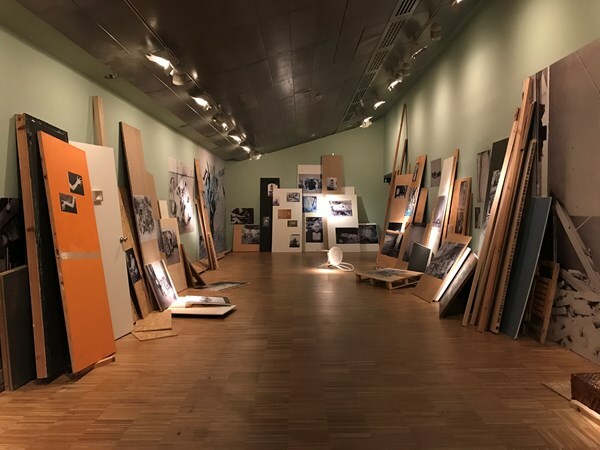 This exhibition brought together works by Ricardo Cases, Cristina de Middel, Óscar Monzón, Aleix Plademunt, Simona Rota, Txema Salvans, Carlos Spottorno and Antonio M. Xoubanova. It acknowledged the creative expansion of photobooks in Spain, which the curator and photobook specialist Horacio Fernández dated as commencing in 2009. The exhibition has since received international plaudits and a sample of the titles published during the intervening years can be found in the book, LIBRO. Un ensayo acerca del libro de fotografía y de su momento actual en España, published on the occasion of the exhibition at the foundation. The Museo Nacional Centro de Arte Reina Sofía approched the topic from a more historical perspective with the exhibition, Fotos y libros. España 1905-1977 (Photos and books. Spain 1905-1977). which dealt with the history of the photobook in Spain from the beginning of the 20th century until the mid-1970s with publications by renowned photographers such as Francesc Català-Roca, Ramón Masats and Xavier Miserachs as well as by other, less well-known photographers. In the Photobook Phenomenon exhibition contemporary photographers are represented by Laia Abril, Julián Barón, Alejandro Cartagena, Jana Romanova, Vivianne Sassen, Thomas Sauvin and Katja Stuke & Oliver Sieber. They were chosen to show how the photobook is growing in importance and is part, or the final result of, artistic processes and investigation. Laia Abril&apos;s Lobismuller is a project that was first conceived as an installation, bringing together a series of images, documents and texts, which later became a publication showing how this variety of her investigation&apos;s formats can be transformed into a predominantly visual narrative. The project reviews the story, seen from a female and intersexual perspective, of a supposed victim of the curse of the wolf-man who, as such, commits murders,. In the exhibition it is possible to see and leaf through the book directly and details are discovered, such as some red thread and various inserts. There is also a small installation containing the project&apos;s material sources. 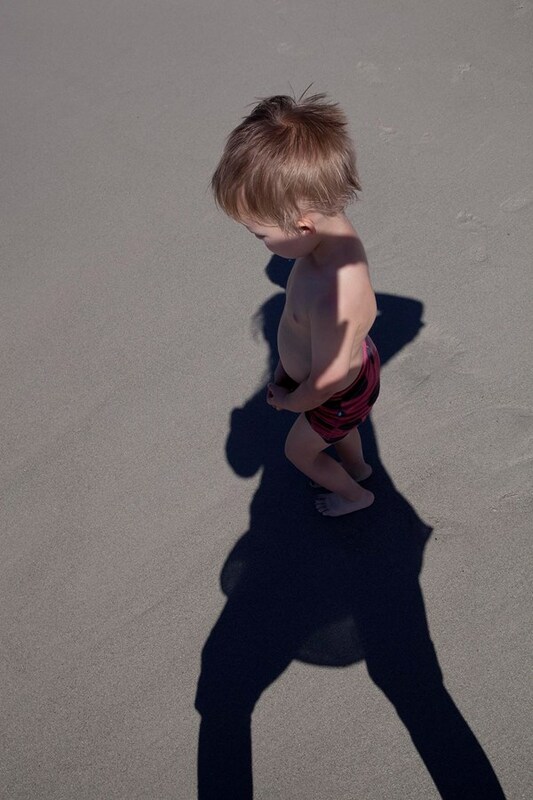 This section also contains a photobook by Vivianne Sassen, Umbra (2015), which is completely devoted to the photographic image with the single theme of &apos;shadow&apos; (and, by extension, light). 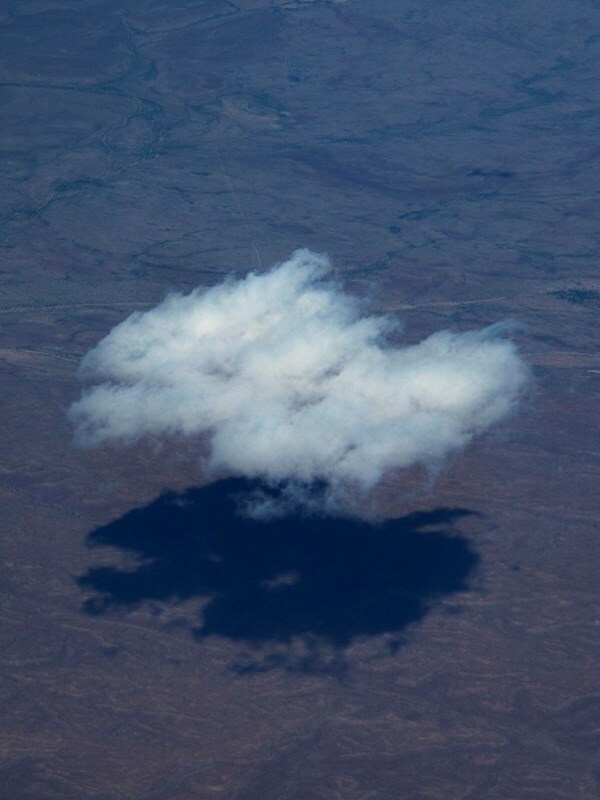 It is a publication of a more poetic nature in which the photographer, like Maria Barnas, “delves in to the world of shadows. A darkness that is both seductive and deceitful. A darkness that lies in every human soul, like the still waters of a black lake with a surface as flat as a mirror, but which can not be seen into”. In terms of format, Thomas Sauvin&apos;s Xian (2016) is conceived as a veritable object. 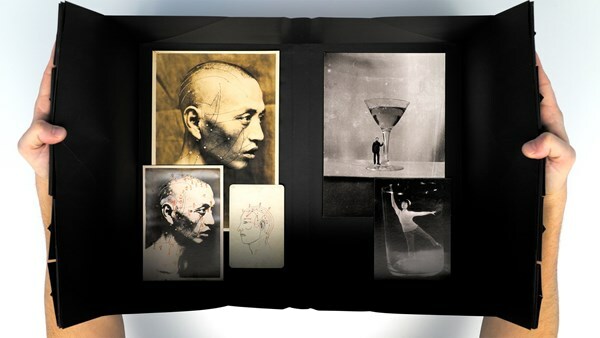 It has 59 folded paper &apos;boxes&apos; (a reference to Chinese sewing boxes for keeping thread and needles) and ninety printed photographs in various formats, which are revealed upon opening the flaps. 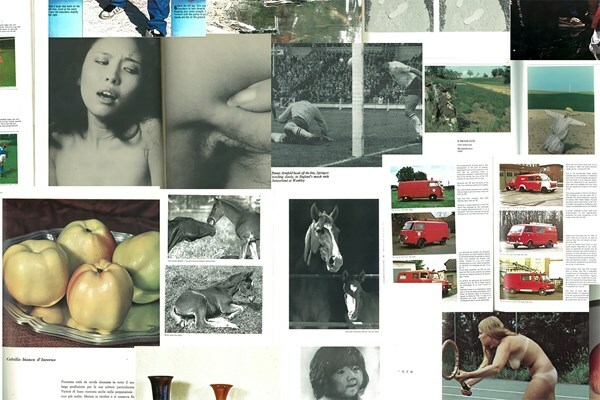 Erik Kessels is another artist, photographer and collector who works in the photobook medium. On one hand, he is responsible for one of the sections of the exhibition, with books or manuals illustrating so-called &apos;useful photography&apos;. These are publications with images from different fields and on a variety of themes in which the images speak for themselves. This collection of books or photobooks shows how the photobook format is open to many possibilities, the fundamental aspect of which is to start with a collection or body of photographs and images. 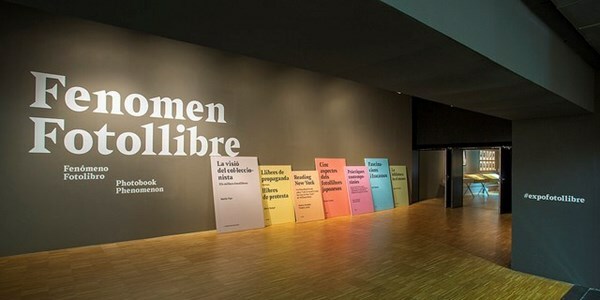 On the other hand, Kessels also has a large installation with images from the National Archive of Catalonia. The installation comprises images, discarded items and an audio track to tackle the question of the objectivity of the photographic register, with error and disaster as a field of possibilities for new readings. It is a work that could be considered entirely as an example of contemporary art, but one which derives from an interest in the image, the photographic image, that is at the heart of the photobook idea. At the end of the CCCB exhibition, and to complete the panorama of the most contemporary photobook, there is a wide selection of books published between 2015 and 2016. The books brought together in this section acknowledge the large number of photobooks produced internationally, and their quality, be they the result of self-publishing, independent publishers or more established publishing companies. The selection contains a collection of fantasy books, which can be seen, touched and leafed through and in them their readers can loose themselves in an infinity of stories. Notable amongst them are the Spanish self-published De votos (2015) by Toni Amengual, and Bidean (2015) by Miren Pastor, as well as Blackcelona (2015) by Salvi Danés, Ama Lur (2015) by Jon Cazenave, Every night temo ser la dinner (2016) by Sofía Ayarzagoitia and The observation of trifles (2016) by Carlos Alba. If the aim of the exhibition was to vouch for the value of the photobook in contemporary visual culture, it would seem fundamental to review and propose a possible history, with the advantage of a certain hindsight, but essential too to explore contemporary publishing, which has consolidated the photobook, a medium historically used by photographers to present, communicate, see and read photographs, a modest kind of total art in which photography, publishing, design and production combine. FLAÓ (a regional pastry) CONNECTION. 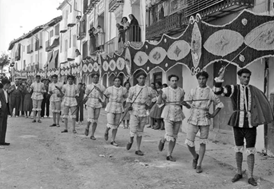 Retrospective photographic exhibition about the Les Ports district in commemoration of the centenary of the Maestrat Cultural Association in Terrassa.